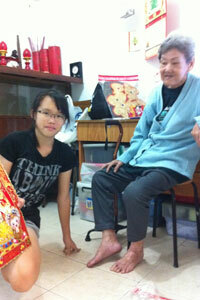 Thanks to Fui Hoon who returned from the USA, a gathering of fellow ex-NJC canoeists was organized by Veronica at SRC. 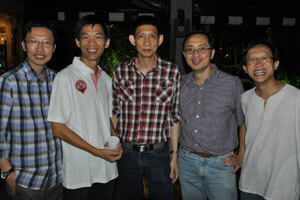 I wasn't a canoeist but was glad to kinda gatecrash on Fui Hoon's invitation. 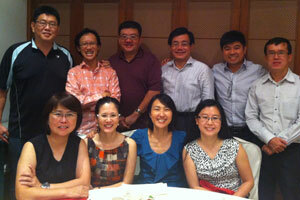 It was a wonderful gathering of old pals, some of whom I haven't met for 29 years! 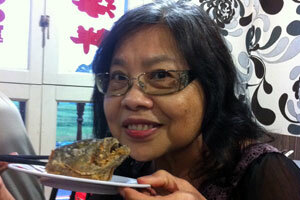 And I definitively couldn't recognize the re-shaped Yuk Nyen. L-R: Yuk Nyen, Alvin, Seng Gay, Yeong Bin, Kong Seng, Kok Leong, Veronica, Linnet, Mona and Fui Hoon. 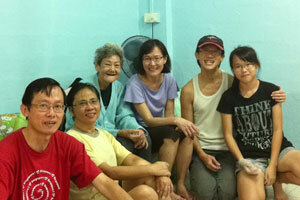 It's time again for friends and family members of the Singapore Adventurers' Club to roll up our sleeves and spring clean for the old folks who live on their own at Kim Tian and Bukit Merah areas. Thanks again to Cecilia Ong for organizing us all and Michael Chng for financing the entire charity operation plus buffet lunch. Robyn and Jin cleaned the windows, Alvin cleaned up the kitchen, Yum took care of the floor, while another SAC member cleaned the toilet. It was a wonderful morning of labour with love and kindness. And it was also a hearty reunion with fellow adventurers with whom we once climbed, camped and trekked together in the mountains. 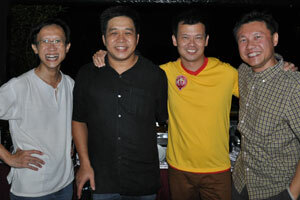 Thanks to Christopher Tay who initiated this reunion over Facebook that saw over 40 old boys of the 1982 batch from Victoria School reunited at Kakis for makan and renewal of friendship. I have not met many of them for over 3 decades. Some have not changed much in terms of look but others have re-contoured their bodies rather drastically. We celebrated everyone turning 47 this year and then we sang the school song proud and loud. Sec 4S2: Yeow Lian, Michael, Chin Chye, Shung Seng and Alvin. 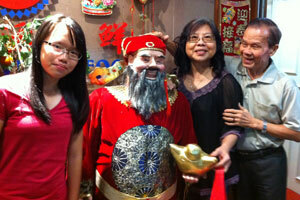 Shung Seng has an elephant memory of some of the happenings that occurred over 3 decades ago. He actually remembers who sat behind or in front of who... Amazing! 1501 Golden Arrow Scouts: Patrol Leaders Alvin, Siew Kay and Hiang Seng, and Patrol Second Ka Sing. We celebrated Grandma's birthday with a sumptous dinner at G7 Sinma Live Seafood at Geylang Lor 3 with Aunt Janet's and Uncle Melvin's families. 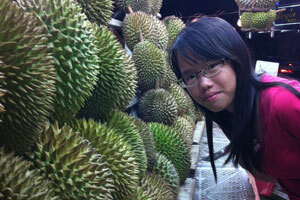 After dinner, we took a stroll over to Lor 7 and makan 3 huge durians by hand by the roadside. It was a wonderful night out with the family.